Feel free to look around, I have been writing here sine 2009, and there is a lot of material here relating to trip planning, kayaking, and gear selections. There are also links to my books on the right for just about every platform. So make yourself at home, have a look around, and feel free to call me names because I said the Appalachian Trail is dead! Part 1 - The Good. Keep in mind I have had a long life on the water. Growing up I spent time on my fathers power boats, and got pretty adept at life on the water. I started kayaking - for real - in 1994, and started earning a living - or part of my living - in kayaks in 2003, when I started teaching privately. In that time I have done many long distance expeditions on the east coast of the US, as well as Alaska. My point, I have a lot of experience on the water. I have a good understanding of how a boat is affected by wind, and how water is affected by wind. I am working with a wonderful sailing instructor who primarily teaches people how to race sailboats. Her ability to judge wind, is incredible, and far more refined than mine. This is a sport that relies heavily on understanding the wind and seeing what is about to happen. Let's take a step back. I decided that 2018 was going to be the year I learned to sail, and there were a couple of false starts, more on that in part 3. There was also a dog with a broken paw, which drained finances and time. It wasn't until the beginning of 2019 that I was really able to start making it happen. But in 2018 I did a lot of studying. I read a ton, and figured out what my path would be. My path is different that most people, certainly most adults learning to sail. More on that in part 2. All of my reading and studying led me to believe that this was actually a pretty easy sport. You need an understanding of where the wind is coming from, and how to set the sails based on that wind. Simple. I even used a simulator put out by the American Sailing Association to practice sailing a little boat. I had it down. To a certain extent that is true. You can get into a sail boat and set the sails and go, but there is far more to it than that. There is a level of nuance in trimming sails, which I am sure with practice - or as my instructor says "tiller time" - will become second nature. Frequently when I am sailing I feel like I am grasping for something in the dark that I know is there, but I don't quite know what it looks like or feels like in my hand. It is an interesting place to be, I have spent the last twenty plus years finessing a kayak in good weather and bad, and to feel like a complete novice is incredible. There is so much to learn, and absorb and I am taking it in as fast as I can. Yesterday, my instructor turned to me and said "are you ready to go in?" and I replied simply that yes, I was, as my brain was mush. We spent the day in a 15 foot Wayfarer Mark 1 GRP which was originally released in 1965, and is the fiberglass version of the even older, original Mark 1 which was made out of wood. It is just slightly older than I am. My instructor dropped a buoy with an anchor overboard and we spent the day sailing around it. With the wind constantly changing on the lake we had to constantly adjust our approach, and in the course of four hours we circled it from all points of sail, and with gusting wind and nearly dead calm. Spending four hours hyper focused on sails and tell-tales (the small ribbons on sails and standing rigging that tell you what the wind is doing) is absolutely exhausting. Late last year my wife and myself spent a day on a 41 foot sailboat getting an idea of what sailing is like. It was much more calm and predictable than the little boat on the lake. I am thinking that getting a grounding in what is called Dinghy sailors will give me a better understanding of how to sail bigger boats. My previous lesson was in two parts. We started in a Hobie kayak with outriggers, and pedal drives. It also had a single mast, and a hand control for the rudder. We spent about two hours in what is essentially a trimaran sailboat. Having only a mainsail and a simple rudder made the boat easy to control and super easy to get a handle on sailing concepts, and this confirmed my thoughts that sailing was easy. It really was just like the sailboat simulator I had used. However, the second half of our day was spent in a 16 foot RS Quest which was like jumping ahead about 30 years in terms of what was happening. All of a sudden I had a jib to control as well as a main sail. I also had a tiller, to control the rudder, and it does this with a handle that is articulated in the middle. Because it isn't hard enough that a tiller gets pushed the opposite direction you want to go, adding an elbow just makes it more confusing. There was also the little fact that the boat could now heel over to one side, which the trimaran couldn't do. It was a lot to keep track of. It was just starting to make sense when the lesson came to an end. I have a lot to do in 2019, there are four phases to this project, the learn to sail project, and I am only on part one. It should be an interesting time. Welcome to 2019, a quick update, a rough first month. I have had a rough start to 2019. Which is painful because I really have a lot to get done, and I accomplished nothing in the first 12th of the year. Right after New Years I went to Denver to visit my sun, and spent a couple days feeling crappy. As someone who teaches wilderness medicine for a living, I should have realized much sooner that I had Acute Mountain Sickness. It was really only a couple of days, so it wasn't bad. But the hiking was amazing, and with instant views. If I didn't like the water so much, I would consider Denver for relocation. Shortly after I got back I taught a WFA class that was only open to REI Outdoor School Instructors. It was an absolute blast. Being able to tailor each scenario to their specific needs was wonderful. Each patient was set up as being in an REI class. It really made me think about how we teach those classes and what I would like to do in the future. I think a lot about how I would like to teach classes, which is good, because it is very easy to just teach classes the way you always teach classes. You convince yourself that every class is different by what the students bring to them, but as the instructor I think it is important to be thinking about what we want to bring to them as well. The day after the WFA, my voice started to go. I thought it was leaving from overuse as I had spent the weekend solo teaching, but in fact it was the beginning of a cold. A cold that lasted right through my one planned weekend off, when I went to a wonderful cabin in the mountains to celebrate a friends birthday. I spent the weekend sniffling and coughing, while my friends were sampling special bourbons and soaking in a hot tub. Then, as I came back from the weekend, I went back to work the next day. I worked a 1 to 9:30 shift which is a killer, particularly when you are feeling under the weather. I came home, and was going to have a sandwich, take a shower and go to bed. When I realized there was some left over chinese food in the fridge. It smelled okay. The vomiting started 12 hours later, as I was going back to work. I spent the rest of the day running to the bathroom, and I couldn't eat for three days. I have to say, what got me fixed up was my Acupuncturist, with a combination of herbs and needles. That woman - Heather at Paradox Wellness, in Greensboro - is amazing and I am pretty sure can fix anything that ails you. So, that was my month. I Hope February is more productive. One of the best things to happen this month - maybe the only thing good to happen! - was on yesterdays Map and Compass class. A student told me how much she loved my book! Which is an amazing thing to hear. A coupe of years ago at the East Coast Kayak Festival I mentioned in a presentation that I published Enlightened Kayaking, and someone said "That's you! WOW!" and it was really nice. It's always nice to hear that something you created resonated with someone. If you have enjoyed something created by another, tell them! It will make their day, like it made mine. If you are one of the people who bought my books this holiday, do me a favor and give it a review, it really helps. Thanks! I am a big fan of Christmas. I enjoy the trappings of the holiday. A good meal shared with people I love, giving gifts - receiving gifts makes me a little uncomfortable - and the joy the season brings. I have several traditions that are important to me. Every season I read A Christmas Carol, and Christmas morning I enjoy a champagne cocktail. I have also always enjoyed what I can only describe as the production design of the holidays, particularly in NY. I am sure there is a real term for what I am describing, but my background in photography calls it this. The decorations, the soundtrack, the glasses on the table. They all come together to tell a story, and it is one I enjoy. Having lived in Manhattan for over a decade I found it easy to avail myself of the beauty that is Christmas in the city. I generally avoided the big tree at Rockefeller Center, though I did ice skate there once, and though I am not much of a shopper I used to take a walk down Fifth Avenue at the beginning of the season to get myself in the spirit. Get a light dusting of snow in the West Village and was always game for a walk with a spiked hot chocolate. But my favorite Christmas memory is none of these. When I worked in photography I ran a photo studio for an small stock photo agency. We produced a lot of imagery, and maintained a staff that fluctuated from five to eight. A couple of us were jack of all trade types but we had a guy who worked with us whose specialty was casting. He cast people that could fulfill any role from banker to craftsman to sports star. He truly had a talent for it. His name was Ken. Ken had been an actor, and after working with me moved on to some fame on a reality TV show, which will remain nameless. But it turns out that Ken had a side gig at the holidays. Ken worked during the holidays at Macy's as a Santa. He was Santa Ken. This memory came rushing back to me this morning because I was listening to David Sedaris' Santaland Diaries, in which "Santa Ken" has a brief mention. I suddenly remember in a rush of emotion the year I visited Santa Ken at Macys. I am not sure how it started, or how it came up. I think I must have mentioned over lunch that my sister brought her boys to Macy's every year, Ken told me they had to come and see him specifically, and that he would make it really special. I protested, as it made me a little uncomfortable, the gift thing, but Ken insisted. And so I was given a Christmas assignment. I am guessing here, but my sisters boys were probably eight and three? I am honestly not sure. I think the oldest was starting to not believe in Santa, but the younger of the two was deep into the mythos as every child should be. Ken gave me a list of questions to ask my sister. The boys names, and their teachers names. If they played any instruments. What they wanted for Christmas, things like that. A couple of emails back and forth and everything was set. But here was the kicker. I had to go with them. This was non-negotiable. It was explained away as this, Uncle Brett and Santa go way back, they are old friends and he is going to come with us to visit his friend Santa. I was the cool uncle. So it was on a weekend morning - probably hung over - that I found myself at Macy's in line to see Santa with my sister, her husband and the two boys. I had specific instructions that "when I got to the magic tree, tell the elf you want to see Santa Ken." I have to say that the line actually went pretty fast, and before too long I found myself at the magic tree, whispering to an elf "We need to see Santa Ken" feeling like a complete lunatic. But the elf was a professional, and orchestrated everything perfectly. What you can't tell from the magic tree is that there are 6 or 8 different Santa houses. But this elf got us where we needed to be, without it being obvious that he was manipulating the line or the flow to Santa. He had us pause just outside the door to Santa's house and as we stood there I realized something very important that no one had mentioned. I had to enter the room first, or Santa Ken wouldn't know it was show time. At the last minute I cut in front of everyone and walked into Santa's house and was greeted by the bellowing howl of a laughing Santa Ken. "Well hello Brett! Is that "S" and "I" you bought to see me? I said it was, and ushered them to Santa. The oldest "S" sat on Santa's lap and was asked all manner of questions about the goings on at his school, to which Santa had an amazing amount of knowledge. If I remember correctly, "I" was a little too overwhelmed to sit on Santa's lap. Pictures were taken, and the experience was amazing. As we were leaving, I thanked Santa, and he said "Not so fast Brett, you have to sit on my lap too!" So I sat briefly on Santa's lap and posed for a picture. As we left Santa's house, "S" asked my sister "How did he know my teachers name?" to which my sister replied "He's Santa." It didn't seem like a big deal at the time, though I am pretty sure my sister cried and gave me a big hug. The following Monday at work I gave Ken my thanks and told him he was amazing. He truly was Santa. In the years that followed when I would think about the experience it would strike me, that in essence, it was a little thing Ken did. He was already there, doing a job, it wasn't that much more to do this for me. But in fact it was. I hesitated when he first suggested it because I don't like to make work for people, and it was more work for Ken to take the notes and keep them hidden, and to act convincingly as Santa for my nephews. It was a little thing that echoed for years, and to this day I am grateful for the experience. It is those little moments where we do something for each other, the gestures for the holidays to say "I appreciate you, and I can do this little thing for you." that make the holidays special. I haven't talked to Ken in close to twenty years, but this little act of kindness sticks with me. I still look for things like this I can do for people, but I doubt I will ever have the impact that Santa Ken had on me. And that, is my favorite Christmas memory from living in New York City. Merry Christmas everyone. Thanks for reading and following and playing along. Just spreading the word about a documentary I just saw and loved. No, it's no Free Solo - which I saw and loved, it's amazing, check it out! - but this one about the Barkley Marathons. Here is the trailer. If you don't know the Barkley Marathons, they are a really extreme trail based ultra-marathon. It is listed to 40 people per year, and the registration process is a secret. It starts when the race organizer lights a cigarette - somewhere in a 12 hour time span. You have 60 hours to complete 5 loops which are listed as 20 miles each but vary and are usually 25 or so. They call completing 3 loops the "fun run" and only 16 people have completed the 5 loop version. It is insanity on two legs. Well, we got to Alaska, but still had to paddle quite a ways to get to the glaciers. In this episode, a lot of paddling, and a lot of eating. Holiday Sales on all Books. Getting ready for the holiday season? With that in mind I decided to run a sale for the month of December on all the books I have written. 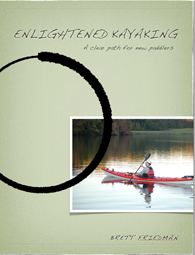 At the iBook store, Enlightened Kayaking is now $3.99 (originally $5.99) and GO! 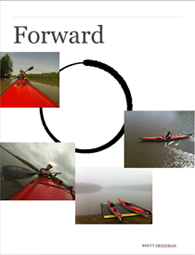 Planning weekend trips to month long adventures is $7.99 (originally $10.99) Finally, Forward, the short book that just focuses on the forward kayak stroke is Free. All of these books are digital only and can be read on the iPad, iPhone or your Mac. At Amazon, GO! is also $7.99 and the Paperback version is $12.99 (originally $15.99). This sale is going to run through the month of December. January first they will go back to full price. On either platform you can send these books as a gift in either digital form or paperback. I like the thought of giving the gift of experiences for Christmas, and these books can help give people the skills to create their own experiences. If you have already purchased one of my books, thanks for supporting an independent author, and if you enjoyed it, please give the book a review wherever you bought it. If you didn't enjoy it, please send me some feedback. The joy of being independent and publishing digitally, is that I can make changes. Part two of the Adventure Otaku Christmas is the stocking stuffer list. Once again, these are all Items I use. They make my outdoor life better, safer and more fun. Here is hoping they will have the same effect on your loved ones. Snow Peak Gigapower Torch $57.95 - I bought this after years of wanting it. It takes a lot for me to buy something I don’t really need, but this thing gets used all the time. I use it to start campfires mostly, which it does quickly and easily, but I have also used it to melt cheese over a bowl of soup. 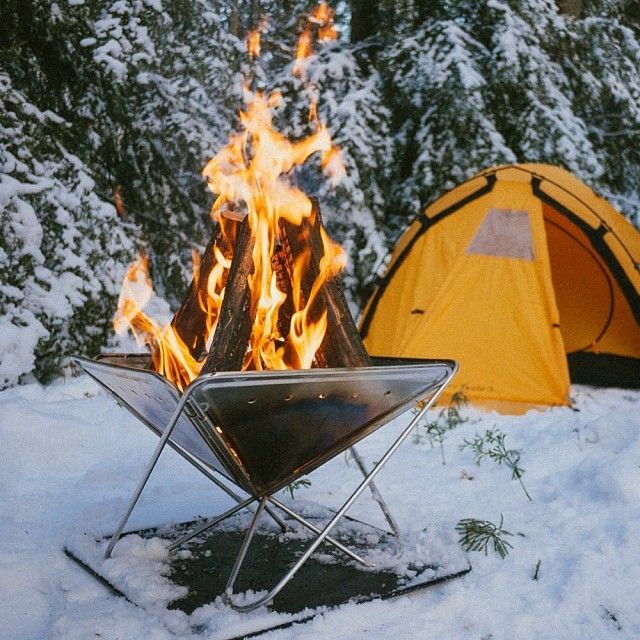 Talk about versatile, and it uses the same fuel I am already carrying for my stove. A little pricey for what it is, but it is beautifully made. Big Agnes Ultra Pump Sack - $34.95 Blowing up an air pad isn’t too bad, but this is just so much better. Essentially a large dry bag with a connector on the bottom that mates to Big Agnes sleeping pads, depending on which pad you are using it will take about two full pump sacks to fill your pad. When not being used as a pump it is a waterproof bag for clothes our whatever you need to carry and keep dry. The UV and insect Shield buff - $20ish. The first thing I pack when I am teaching. Whether it is summer or winter. Versatile, lightweight, and inexpensive. It is the perfect accessory. In the summer it is sun and bug protection. In the winter it is warmth. Can’t beat it. Sawyer Permethrin - $14-$20 Because I teach in the outdoors, I try to not use too many chemicals on my skin. That is why I usually use permethrin on my clothing instead of bug spray on my skin (or sunscreen for that matter!) Spray your clothes, let it dry and it keeps bugs at bay for 6 weeks or 6 washings. I was skeptical at first, but once you realize others in your group are shooing mosquitoes while you are sitting comfortably you will realize how well it works too. MSR Mug Mate Coffee and Tea Filter - $16.95 Super simple, super easy, super light way to make great coffee. Fox 40 Whistle - $6.00 Everyone should have a fox 40 whistle. 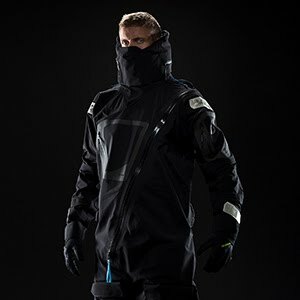 Ridiculously loud, inexpensive, and the ultimate piece of safety gear. People don't like buying safety gear, so buy it for them. Warm Socks - $14 to $40 Whether your choice is smart wool, Darn tough, or farm to feet, a high quality pair of wool socks cannot be beat. Nothing makes for a better stocking stuffer than awesome, warm, cozy, socks. Whether you are wearing them around the house, or inside a sleeping bag after a long day of paddling. Everyone loves warm socks. These last three items combine to make a great gift, you could even add the Jetboil Mighty Mo from the previous list, and make it a super Christmas for someone. Hot Chocolate Mix -. $14.00 A great thing to have in the backcountry on a cold day. 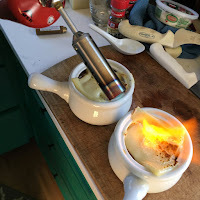 Here is a great recipe you can make yourself, and prepackage as a gift for someone. If You want to buy it pre-made I have tried tons of brands and my favorite is Godiva Dark chocolate hot cocoa. Paired with the Jetboil Mighty Mo, and a vessel for heating water and this is the ultimate cold weather kit for a hot drink. Hydro Flask Vacuum Insulated Coffee Cup $24.95 - keeps coffee hot or cold for a long time, and most importantly seals tight when not in use. Love it, and it fits in a cup holder. And yes, it replaced my Yeti. This is better. 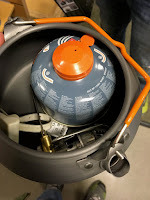 The GSI Halulite Kettle - $24.95 And here is your vessel for heating water. 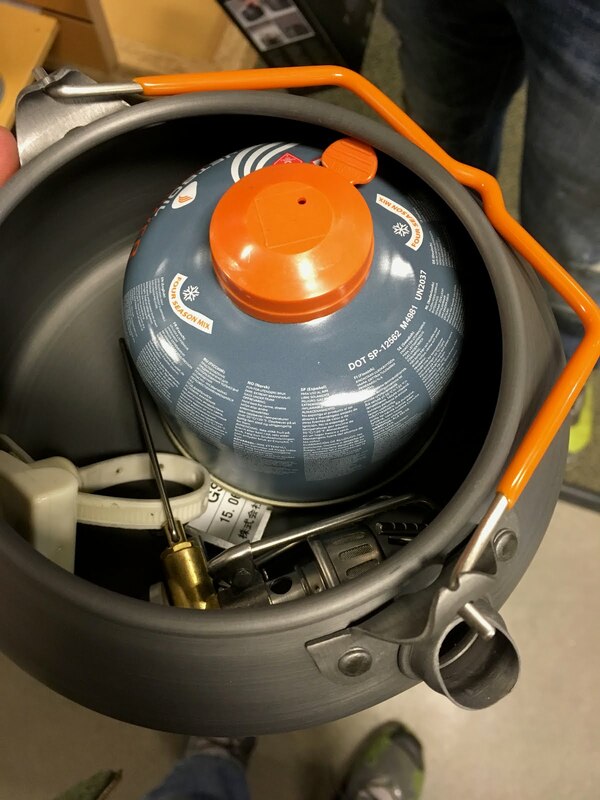 It packs small enough to carry on a day hike, but big enough to carry a Stove and a canister of fuel. Here is your bonus gift. Available via the link on the right side of this list is GO! which is available to give as a gift on either amazon for kindle, or paperback. Or on the iBookstore for iPad and Mac. On sale for $7.99 from December first through New Years Eve. 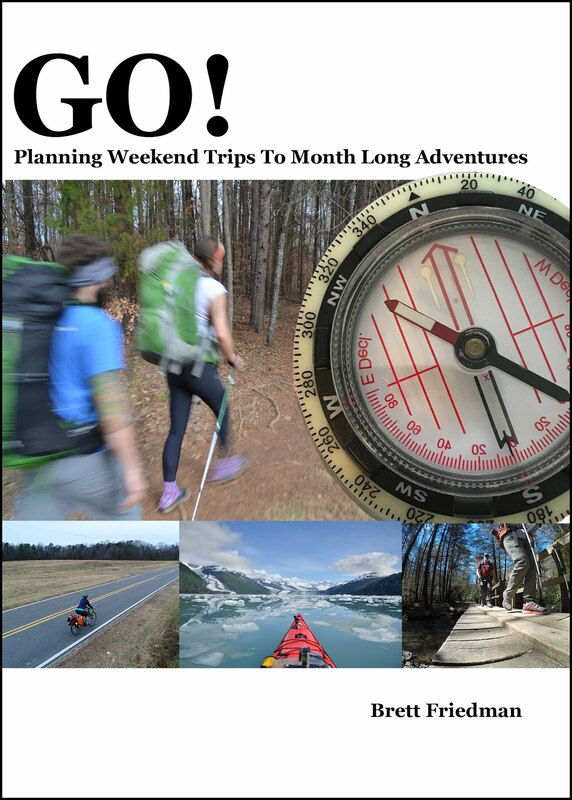 Get your friends or family members the gift of the written word, and the skills to plan their own adventures.